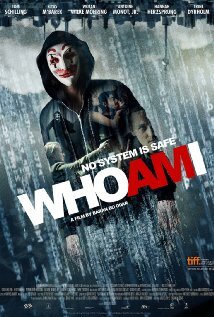 Movie Review: Bustling enough to cause some apprehension, but unoriginal in approach and storytelling, “Who Am I” is a German cybernetic thriller directed by Baran Bo Odar whose previous “The Silence” had given positive indications about his filmmaking aptitudes. The film stars Tom Schilling as Benjamin, an uncommunicative young man who, since childhood, has a crush on Marie, and wishes to have superpowers and invisibility. Being an outsider in the real world, he gains some self-respect on the Internet, as he becomes one of the most wanted hackers in Germany. Benjamin, seated on a chair with his hands tied, and bent over a table, tells to the suspended female inspector, Hanne Lindberg, how he was sentenced to 50 hours of community work for breaking into the university servers in order to help Marie. While carrying out this light sentence, he bumps into his dissimilar, Max (Elyas M’Barek), an insubordinate impostor who introduces him to Stefan, the one who can find any bug in any system, and Paul, a hardware expert, with whom they create a computer hacker group baptized as ‘CLAY’ that stands for ‘clowns laughing at you’. Mostly aiming at wealthy corporations and governmental services, which includes the foreign intelligence agency of Germany (BDN), the reserved and yet bright Benjamin will have to fight the most venerated online pirate, MRX, who allegedly belongs to the Russian mafia hacking group known as ‘Fr13nds’ and is implicated in a crime. The film can be described as “The Social Network” meets “The Prestige”, but still using familiar tones and well-worn narrative timbres, setting a bunch of clichéd situations that spin around with consecutive twists and turns without creating a beneficial impact. The score by Michael Kamm often transmits a sensation of more danger than what the film actually gives. I still have faith in Mr. Odar’s films, only this one didn’t work so well for me.